Sharp, tidy, minimalistic. 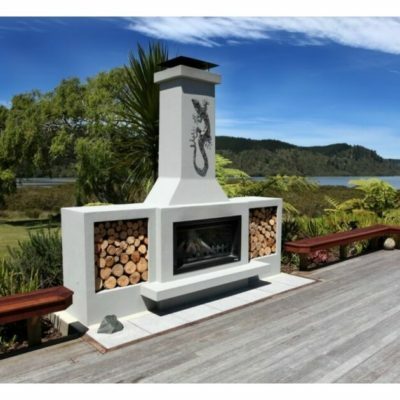 The Hudson is a perfect fireplace for those with a more compact outdoor entertaining area, or for those seeking a fireplace that creates a more intimate setting. Like many great designs the Hudson’s simplicity speaks volumes. Without being over the top the Hudson still manages to draw your eye, whilst the warmth draws in great conversation and long, memorable evenings. 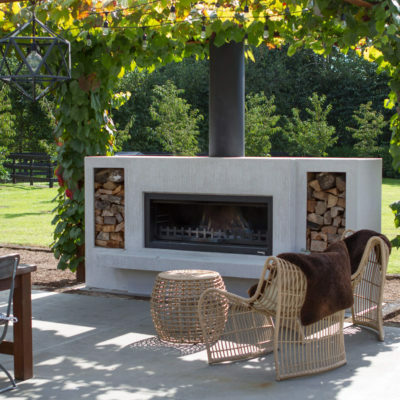 The square chimney offer a symetrical styling that looks great on its own, or when paired with woodboxes. Finish yours in a simple render, or clad in brick or stone to help the Hudson blend in, or stand out. The choice is yours. The Hudson ‘s timeless styling notes enable it to blend in, or stand out as required. Few other fireplace designs are as well proportioned, or age as well as the Hudson.